Former Alaska Governor Sarah Palin is no friend to the endangered Cook Inlet Beluga whales. In October, 2008, former governor of Alaska, Sarah Palin strongly objected, when the US Fisheries Service listed the Cook Inlet beluga whale as endangered. In addition, before making the decision to quit as governor, Palin threatened to sue over the endangered status of the whale. On December 1, 2009, after an October 29th notice of intent to sue by Center for Biological Diversity, the National Oceanic and Atmospheric Administration finally announced habitat designation for the Cook Inlet beluga whale. The proposal would encompass 3,016 square miles to include parts of Cook Inlet (the whale’s primary summer habitat), mid-Cook Inlet; also the western shore of lower Cook Inlet, and Kachemak Bay on the eastern side. The Endangered Species Act was a law enacted in 1973 to protect threatened species and by extension, the specie’s habitat. Endangered Species Act (5)(A) The term “critical habitat” for a threatened or endangered species means—(i) the specific areas within the geographical area occupied by the species at the time it is listed in accordance with the provisions of section 4 of this Act, on which are found those physical or biological features (I) essential to the conservation of the species and (II) which may require special management considerations or protection. The ESA law is clear that vital habitat in which an endangered animal lives must to be protected to promote the growth and health of the population. Industry and politics should not supersede the ESA designation, although attempts to do so occur on a regular basis. Far too often, federal agencies face political pressures and will delay taking action until they are forced by conservation groups, like The Center for Biological Diversity, to uphold the laws within the ESA. After Sarah Palin left Alaskan politics, lieutenant governor Sean Parnell was sworn in to take her place. Parnell took up Palin’s stand on protecting industry–over wildlife. Yet, hunting the whales became illegal a decade ago and they have continued to decline. According to statistics from NOAA, the estimated Cook Inlet beluga whale population has dwindled from 1,300 individuals down to 300 whales. NOAA’s official announcement contends: recovery of Cook Inlet whales is potentially hindered by severe stranding events; continued development within and along upper Cook Inlet; industrial and municipal activities that discharge or accidentally spill pollutants; disease; predation by killer whales and losses of available prey to fishing or loss of prey habitat. Protecting habitat is essential to the beluga whales’ recovery. The Cook Inlet whale is one of five species of beluga or white whales and is a genetically distinct in comparison to the four other distant populations of belugas. Normally, belugas move from pod to pod, but that is geographically not possible for the Cooks Inlet whales. Belugas tend to be the most social, playful, and interactive of the cetacean species and are the only whales known to swim backwards, making them popular attractions at theme parks. NOAA’s announcement signals the opening of a public comment period that will remain open until January 31, 2010. The designation will not be finalized until spring. Once the designation is final, federal agencies would have to consult with NOAA’s Fisheries Services to make sure there would be no adverse effect to the whale’s habitat before permits for new development could be issued. 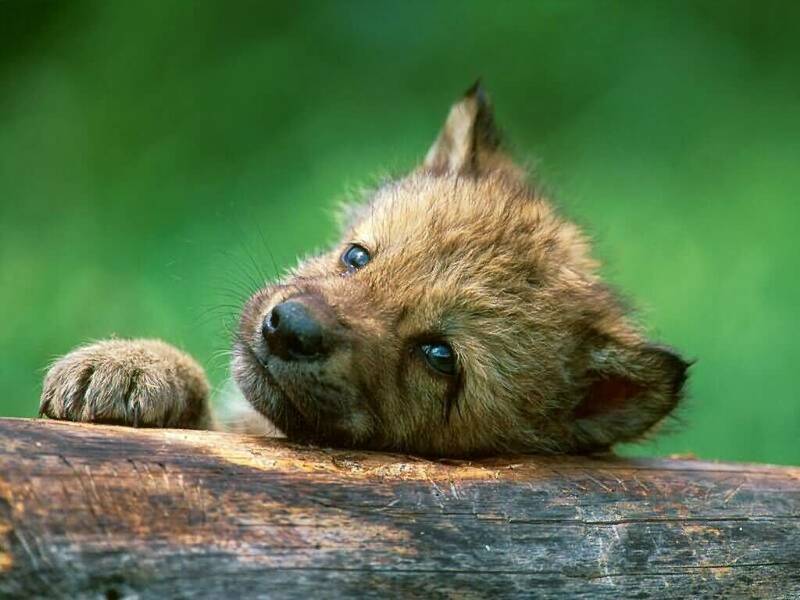 But Governor Parnell, true to his predecessor Sarah Palin and her kill-baby-kill attitude toward wolves, polar bears, whales, and other wildlife—has indicated the state will review all legal options regarding the listing and the proposed critical habitat protection. The fight may not be over, so it is vitally important to encourage NOAA to proceed with the designated protection of the whale’s habitat and restore this vital natural resource for all Alaskans and nature lovers for generations to come. • Mail: P.O. Box 21668, Juneau, AK, 99802-1668. Perhaps, at long last, the smiling white faces of Cooks Inlet whales will begin to frolic in clean, undisturbed, pristine waters, and be recognized as the valued natural asset they are to the region and to the world. Alaskan habitat mapped for polar bears. A vast swath of icy sea, barrier islands and coastal land on Alaska’s oil-rich North Slope will be granted special protection because of its importance to the threatened polar bear, under a proposal released this week by the US Fish and Wildlife Service. The agency proposes that 518,000 sq km of coastline and shallow Arctic Ocean waters be designated as critical habitat, a status of heightened protection afforded under the Endangered Species Act. The area, which would be the largest ever designated for an Endangered Species Act-listed population, overlaps the territory with the largest existing oil fields in the United States where companies operate and plan to explore more. The Anchorage Daily News examines what the next steps will to save the endangered Alaska Cook Inlet Beluga whales. 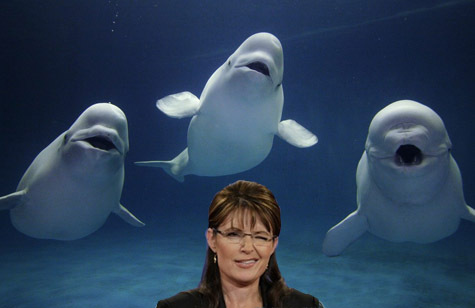 Will Alaska Governor Sarah Palin assist in saving the Beluga whales? Perhaps right after she saves the Polar bears. Declaring Cook Inlet beluga whales an endangered species – as the National Oceanic and Atmospheric Administration did Friday – was only the first step toward protecting them. Now federal biologists are trying to figure out exactly what’s endangering them. The newly released “Conservation Plan for the Cook Inlet Beluga Whale” – a 128-page report compiled by the National Marine Fisheries Service – takes a preliminary stab at the question, listing 18 possible threats to the local whale population. Five of those threats would pose a “high” risk of jeopardizing the belugas were they to occur, the study says. Among them are two natural dangers: disease and strandings of whales on mud flats. Three are man-made dangers: whale poaching, food reduction (by damaging salmon habitat or over-fishing) and unnatural noise in the water (such as off-shore drilling, pile-driving in the construction of a Knik Arm bridge or expansion of the Port of Anchorage). The report also lists as “unknown” the impact on belugas that might result from three man-made dangers: Oil and gas spills, systematic water pollution (including the partially treated sewage Anchorage discharges into Cook Inlet) and environmental change (such as ocean warming). “Certainly oil and gas development and all in-water activities that might introduce pollutants are a concern,” says Fisheries Service biologist Brad Smith, one of the conservation plan authors. Amid “Troopergate” and other government scandals, including killing wolf pups, Alaskan writer Nick Jans explains why the Palin phenomenon rings hollow in his home state. I sat on the bank of the Kobuk River in northwest arctic Alaska on a mid-September morning. Upstream somewhere, wolves were howling – their chorus filling the silence, close enough that I could hear the aspiration at the end of each wavering call. Behind me, the slate-gray heave of the Brooks Range spilled off toward the north, the shapes of some peaks so familiar I’ve seen them in my sleep. The nearest highway lay 250 miles away. This is the Alaska where I spent half my life, and the only place that’s ever felt like home – the land of Eskimo villages, waves of migrating caribou and seemingly limitless space. Though I was beyond the reach of the Internet and cellphones, and life was filled with rutting bull moose, incandescent autumn light and fresh grizzly tracks, I knew that thousands of miles to the south, the rest of the country was getting a crash course on our governor, Sarah Palin – someone who believes that climate change isn’t our fault; is dead set against a woman’s right to choose; has supported creationism in the schools; and was prayed over by a visiting minister at her church to shield her against witchcraft. How was I to explain to all my lower 48 friends and writing colleagues how such a person could have been elected to lead our state – let alone been chosen to possibly become vice-president? Truth be told, I was as startled as anyone when I heard the news. At first I thought the McCain campaign’s announcement was some sort of bad joke. 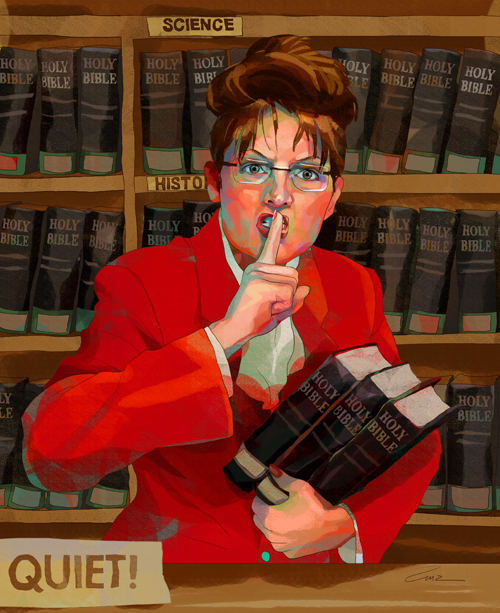 Still, Palin is a genuine Alaskan – of a kind. The kind that flowed north in the wake of the ’70s oil boom, Bible Belt politics and attitudes under arm, and transformed this state from a free-thinking, independent bastion of genuine libertarianism and individuality into a reactionary fundamentalist enclave with dollar signs in its eyes and an all-for-me mentality. Folks in the Mat-Su Valley, as the area is known, overwhelmingly support their favorite daughter’s policies – including a state-sanctioned program where private pilots chase down and kill wolves from small aircraft, and another that favors oil drilling offshore in the arctic sea ice and in the Arctic National Wildlife Refuge. These same voters forage at McDonald’s and Safeway in their hunter camouflage, and make regular wilderness forays up and down the state’s limited highway grid with ATVs, snowmobiles and airboats in tow behind their oversize trucks. Sometimes I imagine I can hear the roar echoing across the state, all the way to the upper Kobuk, where easements for the highways of tomorrow are already staked out across the tundra. Like many Alaskans, I resent Palin’s claims that she speaks for all of us, and cringe when she tosses off her stump speech line, “Well, up in Alaska, we….” Not only did I not vote for her, she represents the antithesis of the Alaska I love. As mayor, she helped shape Wasilla into the chaotic, poorly planned strip mall that it is; as governor, she’s promoted that same headlong drive toward development and despoilment on a grand scale, while paying lip service to her love of the place. As for that frontierswoman shtick, take another look at that hairpiece-augmented beehive and those stiletto heels. Coming from a college-educated family, living in a half-million-dollar view home, basking in a net worth of $1.25 million, and having owned 40-some registered motorized vehicles in the past two decades (including 17 snowmobiles and a plane) hardly qualifies Palin and her clan as the quintessential Joe Six-Pack family unit – though the adulation from that quarter shows the Palins must be fulfilling some sort of role-model fantasy. Palin can claim to know Alaska; the fact is, she’s seen only a minuscule fraction of it – and that doesn’t include Little Diomede Island, the one place in Alaska where you actually can see Russia. So she can ride an ATV and shoot guns. Set her down in the bush on her own and I bet we’d discover she’s about as adept at butchering a moose and building a fire at 40 below zero as she is at discussing Supreme Court decisions. And that mountain-woman act is only the tip of a hollow iceberg. Palin, and by extension, the McCain campaign, has hijacked our state for political purposes, much to the chagrin of the tens of thousands of Alaskans who loathe what she stands for. Her much-touted popularity among residents has eroded over the past six weeks to somewhere in the mid-60s – not exactly what you’d expect in support of a home girl making a White House run. Affectations aside, there’s plenty about Palin we Alaskans do recognize, and all too well. She’s already proven to us that her promises of transparent government, attendant to the will of the people, are bear pucky. We know about her private e-mail accounts and her systematic obstruction of the Alaska Legislature’s investigation of the so-called Troopergate scandal. But let’s turn to her environmental record, where a similar pattern of obfuscation continues. Alaskan wolf pup outside of den. First, Palin pushed hard, along with sport hunting and guiding interests, to help defeat a ballot initiative that would have stopped the state’s current aerial wolf control program, which had been criticized by the National Academy of Sciences and the National Research Council for flawed science. Now her administration has pointedly refused to respond to repeated public information requests (I’m one of the petitioners, and a potential litigant), regarding the apparently illegal killing of 14 wolf pups at their dens on the Alaska Peninsula this spring by state personnel, including two high-level Department of Fish and Game administrators. A biologist at the scene admitted to an independent wolf scientist that the 6-week-old pups were held down and shot in the head, one by one. This inhumane practice, known as “denning,” has been illegal for 40 years. But a simple request for information on the details of this operation, including to what extent the governor was involved in the decision, has resulted in a typical Palinesque roadblock and a string of untruths. Our I-love-Alaska governor was also instrumental in defeating a ballot initiative to stop development of a gargantuan open-pit mine incongruously known as Pebble near the headwaters of the most productive salmon watershed in the state, Bristol Bay. The current mine design calls for building the world’s largest earthen dam to hold back an enormous lake of toxic waste – this in a known earthquake zone. Crazy stuff, yet Palin openly opposed the initiative, in lock step with international mining corporations that invested millions of dollars in a misinformation campaign. But Palin’s certified anti-environmental whopper is her lawsuit against the Bush administration (of all outfits) for listing polar bears as threatened under the Endangered Species Act. She claimed Alaska’s own experts had completed a review of the federal data and concluded that the listing was uncalled for. The truth was, state biologists had come to the opposite conclusion. But that report was never released, and her researchers had a gag clamped on them. Palin simply didn’t want anything to get in the way of offshore oil drilling in moving pack ice – where there is no way to contain, let alone clean up, catastrophic spills. Want to talk to Sarah? As governor, she has been accessible only on her carefully chosen terms, a trend we’re now witnessing on the national stage. And how about those Katie Couric moments when she drifts just a skosh off a well-rehearsed script? Are those a recent phenomenon, brought on by all this new information, pressure and the liberal-gotcha media? Nah. She’s been spouting “political gibberish” (to quote gubernatorial opponent Andrew Halcro) since she arrived on the Alaska scene. Yet somehow she continues to get away with it. In the end, Palin’s attempt to cash in on the Eau d’Alaska mystique as she supports its destruction sickens those of us who do love this land, not for what it will be some day, after the roads and mines and pipelines and cities and malls are all in, but for what it is now. What we see before us is the soul of an ambitious, ruthless, Parks Highway hillbilly – a woman who represents the Alaska you probably never want to meet, and the one we wish never existed. That said, we’re all too willing to take her back. The alternative is just too damn frightening. 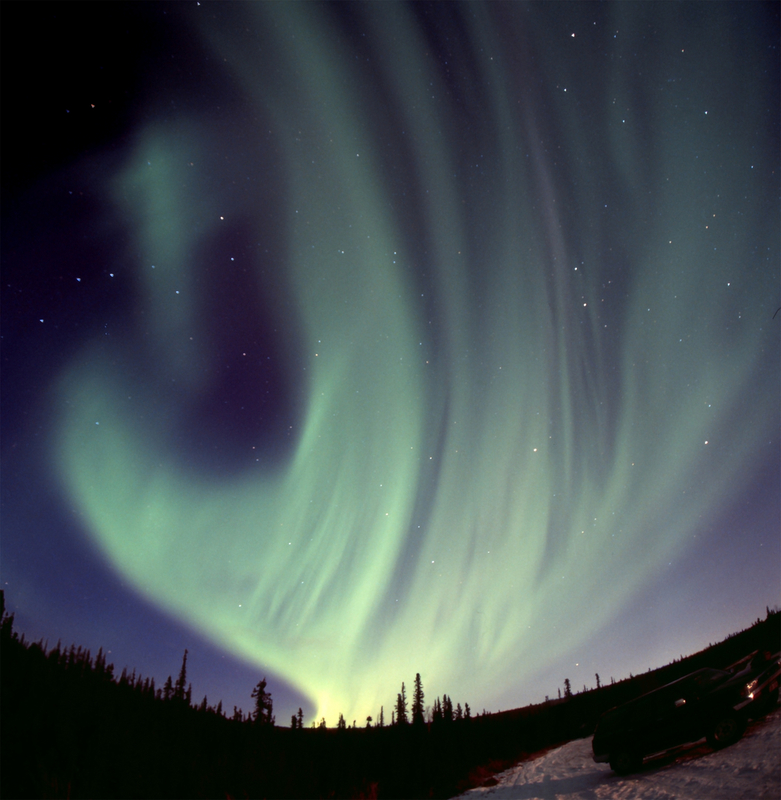 Writer and photographer Nick Jans has lived in Alaska for 30 years. He is the author of “The Grizzly Maze: Timothy Treadwell’s Fatal Obsession with Alaskan Bears,” a member of USA Today’s board of editorial contributors and a contributing editor of Alaska Magazine.